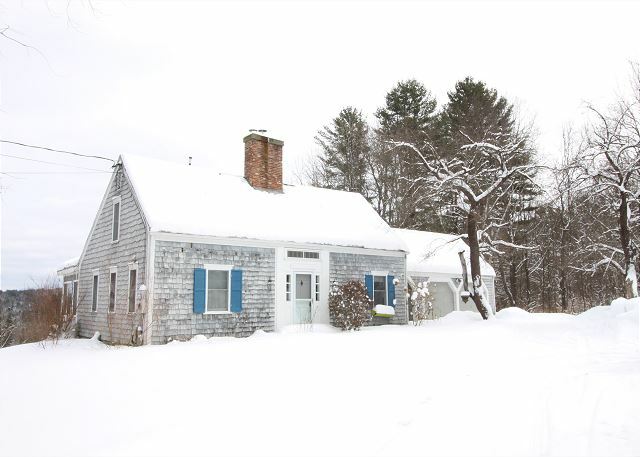 The Orchard House is picture perfect covered in glistening snow. Make this Winter seasonal rental your own personal ski home today! 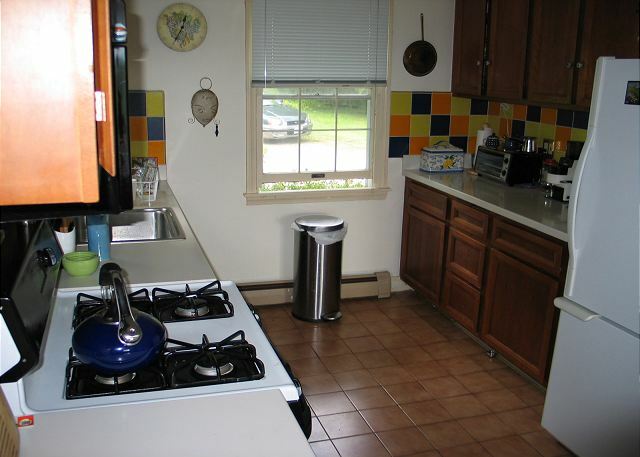 3 bedrooms, 2 bathrooms, sleeps 6. 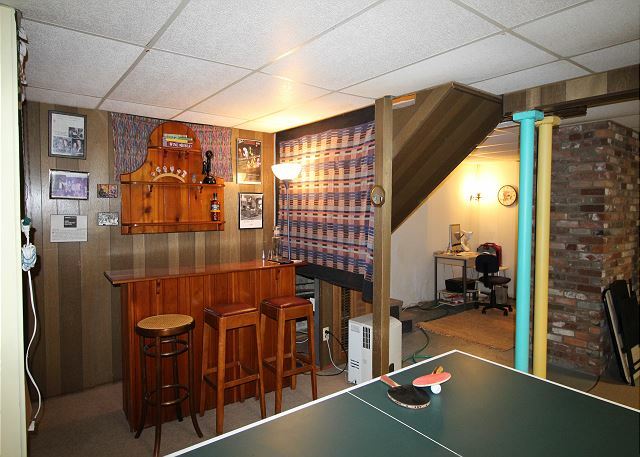 With basement TV/game room! 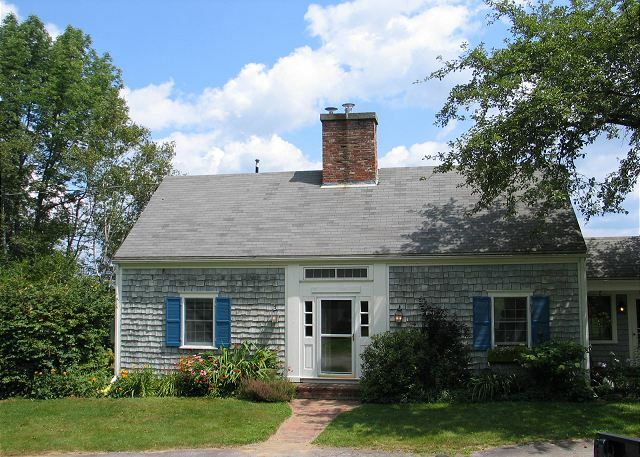 Although just a few minutes from I-93, you'll have nothing but privacy at the end of this quiet road. And plenty of yard space! 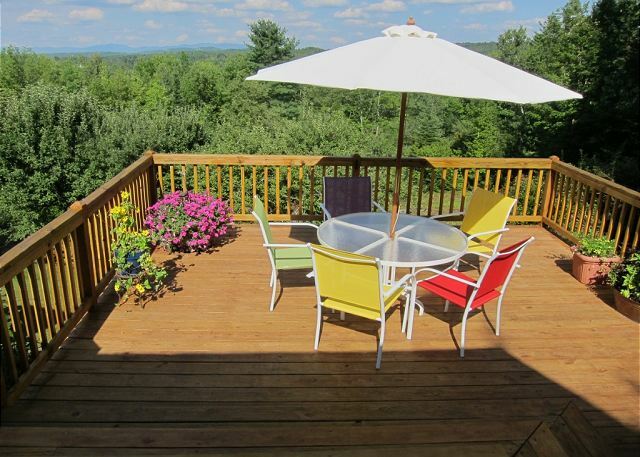 This property offers fabulous views of NH's western Presidential Mountains. 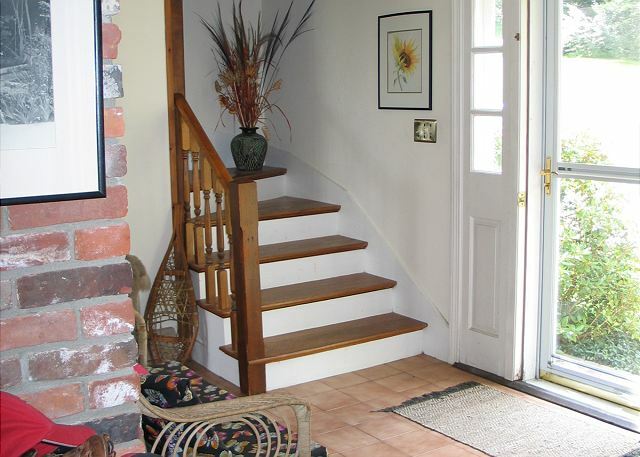 The entryway mudroom leads immediately into the colorful, well equipped kitchen. 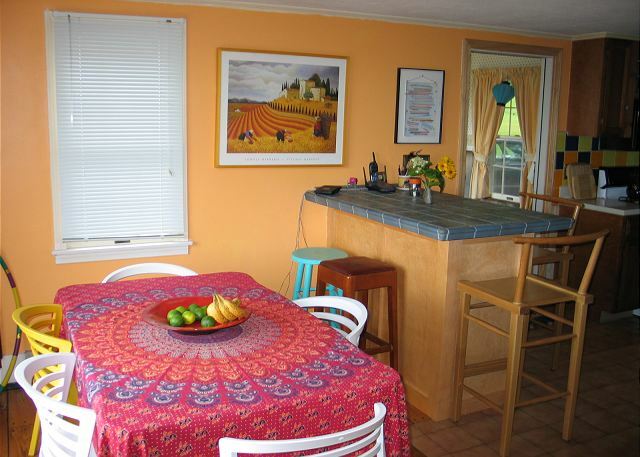 The dining area is separated from the kitchen by a breakfast bar, allowing additional seating. 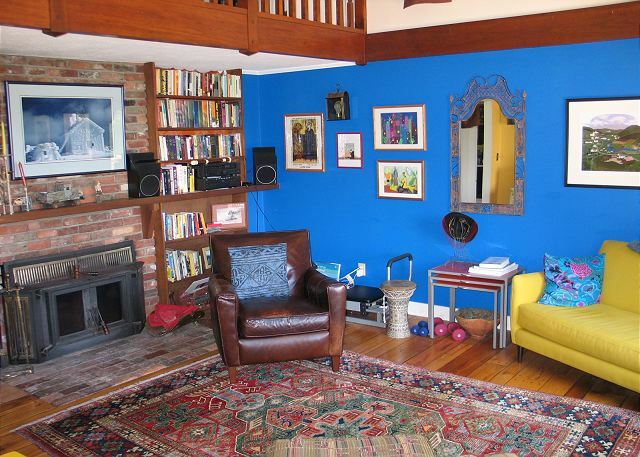 Living area with wood stove, stereo and a selection of music and books. 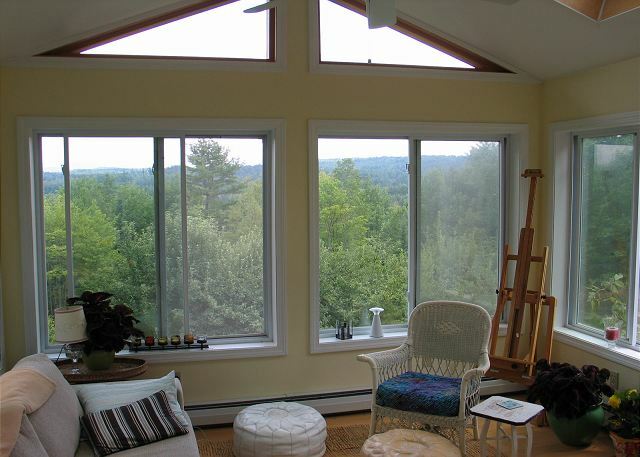 Large picture windows fill the home with natural light, while providing great views all the while. 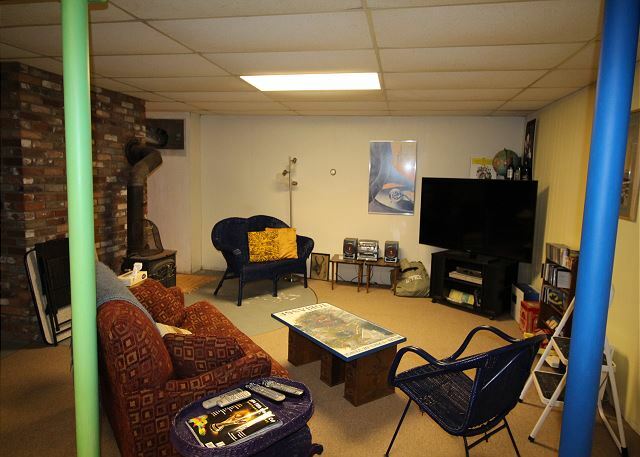 Centrally located, you can enjoy the main floor TV from anywhere! 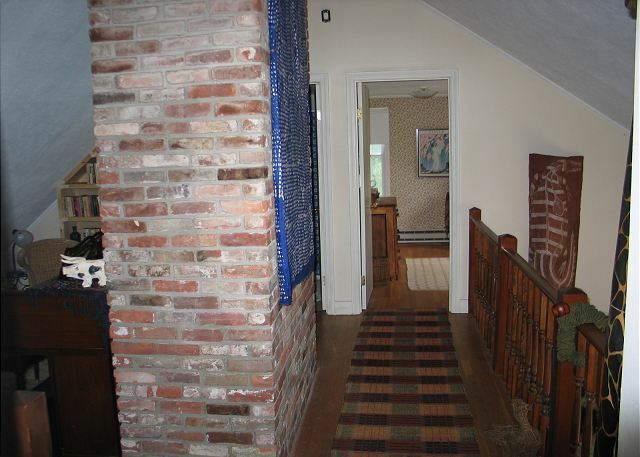 The front entrance opens to the staircase to the second floor. 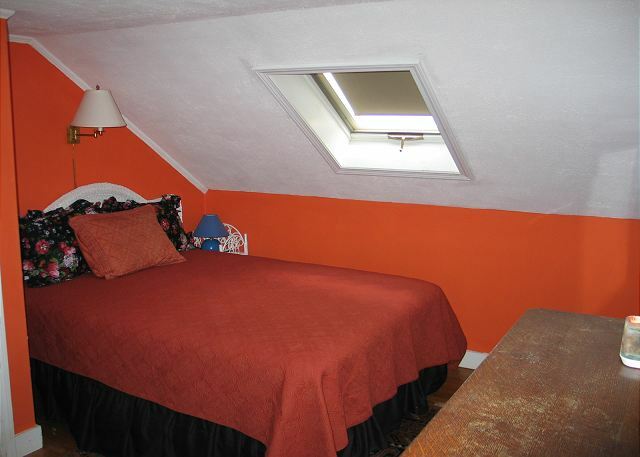 Master bedroom, main floor. 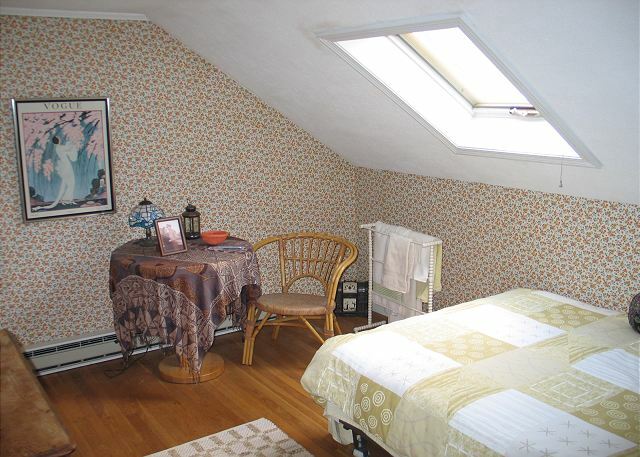 Features a queen bed, en suite full bathroom, additional vanity area, and several closets - and even a bright and airy sun room. 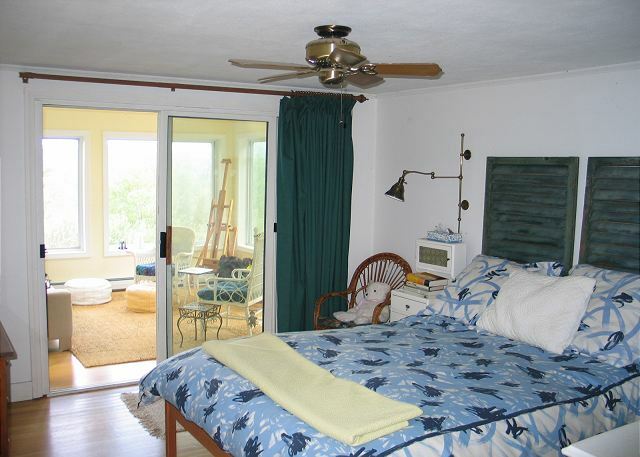 Sun room with windows on all sides, also opens to the large back deck. Second floor loft area looks down onto the living area, providing a more open feel. Bedroom #3 with queen bed and large closet. 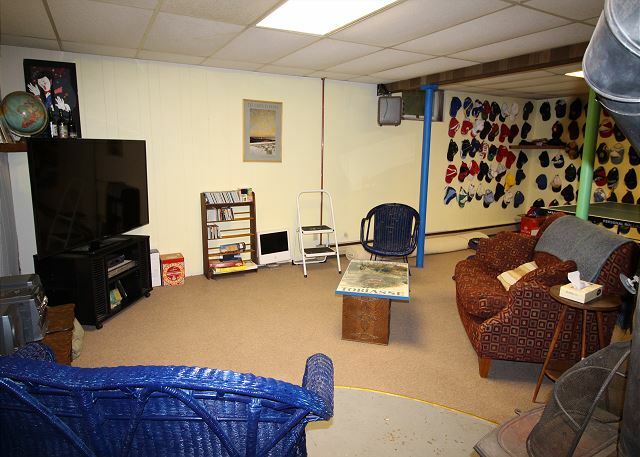 The finished basement holds an additional living area with newly added flat screen television, DVD player and stereo. 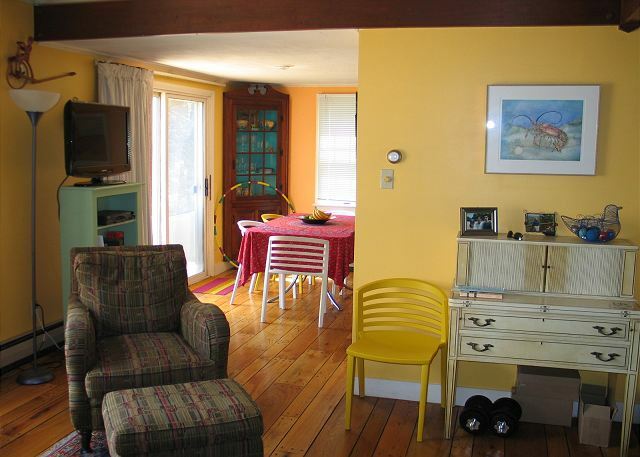 A Professionally Managed Franconia Notch Vacations Property, this three bedroom, two bath cape has a most enjoyable feel and location, with views of The Presidential Mt. 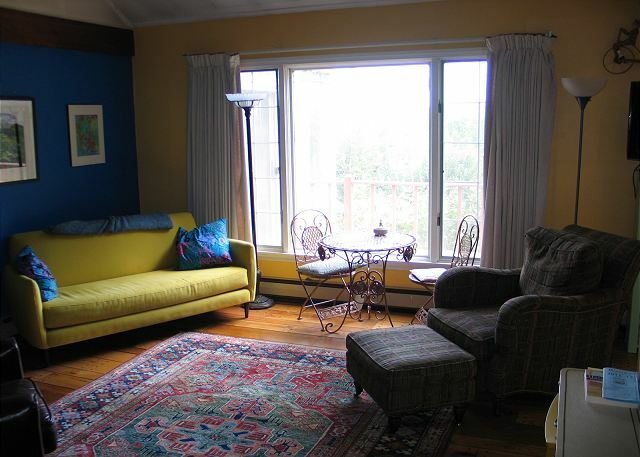 Range, just minutes to either Cannon Mountain or Bretton Woods ski areas, and under 1 mile from I-93's exit 40. You will be so close though you will feel so far away. 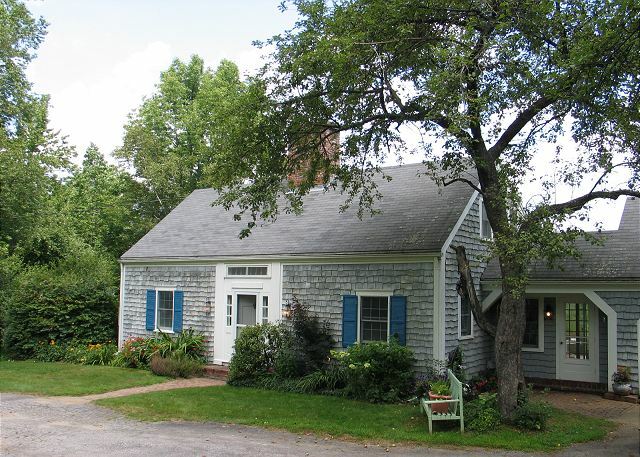 Set among an old apple orchard, the house carries it's original charm, and also enjoys all the modern comfort you expect today. The ground floor master queen size bedroom suite features a 4 season sun porch in addition to the large private bath, and upstairs your guests will enjoy one queen size and one full size bedroom, with a shared bathroom between them. 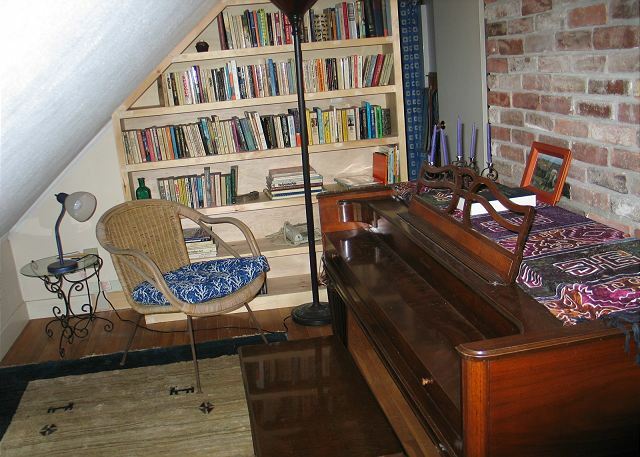 This upstairs level also has a small loft space with a piano and perfect study or reading nook. 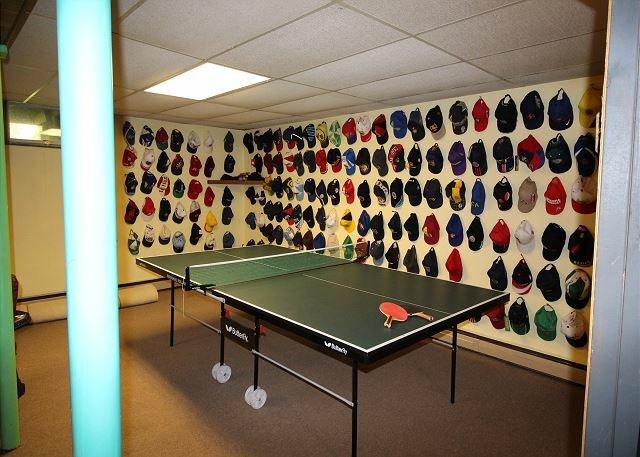 Then downstairs, in the semi finished basement, you are all sure to enjoy the TV & gaming den, complete with ping pong table and a collection of caps that might keep you busy looking all season long. Cort at Franconia Notch Realty was very helpful in working with us to find a rental property and also stayed in contact during our stay. he was quick to respond to any questions we had. We were pleased with the rental property. Thanks again Carl. Glad you so enjoyed your winter experience in and about the Franconia Notch region, cause when our guests go home happy... so do we!-) Cort, Owner-manager, Franconia Notch Vacations.